Traffic slowed to a standstill in the Domain Tunnel late last Friday afternoon, fellow road users peered in concern and amusement at the raucous coming from a horse truck caught in traffic. This wasn’t a road rage incident, this was the first leg of a unique training double for in form and very excited Lang Lang horsewoman Allison Sheehan. She’ll Strykeya’s victory at the Mornington Racecourse in the Mornington Car & Tyre Services BM64 Handicap (1200 metres), was later matched by Alonzah in the Sweeney Estate Agents We Know West Maiden Plate (1200 metres) at Moonee Valley. Thankfully horse and trainer arrived on time. Resuming from a spell with Linda Meech in the saddle, She’ll Strykeya made it three wins and seven placings from eighteen trips to the races. The five-year-old mare by Stryker looks set for a prosperous summer campaign. Alonzah broke her maiden with Nikita Beriman aboard at her fifth start. Alonzah is a four-year-old mare by Zuberi from Pride of Ardossan, making her a half sister to the best horse Sheehan has trained Andrassy (by Sharkbite). Andrassy, a four-time city winner, has recently been confirmed in foal to Dream Ahead, who stands at Aquis Farm in the Hunter Valley. Pride of Ardrossan also gave birth to a Helmet colt, and has been served by Darley stallion Kuroshio. Sheehan has her boutique stable (currently seven) firing, with five of her last nine runners successful. The hard working, very much hands on trainer, prepares her team from a thirty-acre establishment in tranquil Lang Lang, with her horses venturing to the state-of-the-art Cranbourne Racing Centre for workouts. Sheehan has always credited her ability to ride her horses in trackwork as a huge asset to her operation. Being able to gauge accurately the progression of each horse and prepare a work schedule that suits. Allison Sheehan Racing will be represented by El Questro in the BM64 (1200 metres) at Caulfield on Saturday with Luke Nolen to ride. 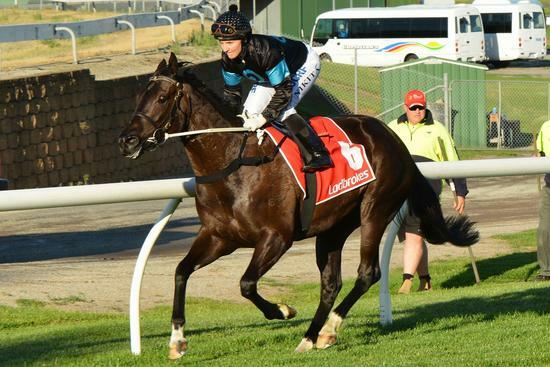 The four-year-old Lago Delight mare has been victorious in two of her five starts, the stable expects improvement on a recent luckless run at Moonee Valley Racing Club (December 1).